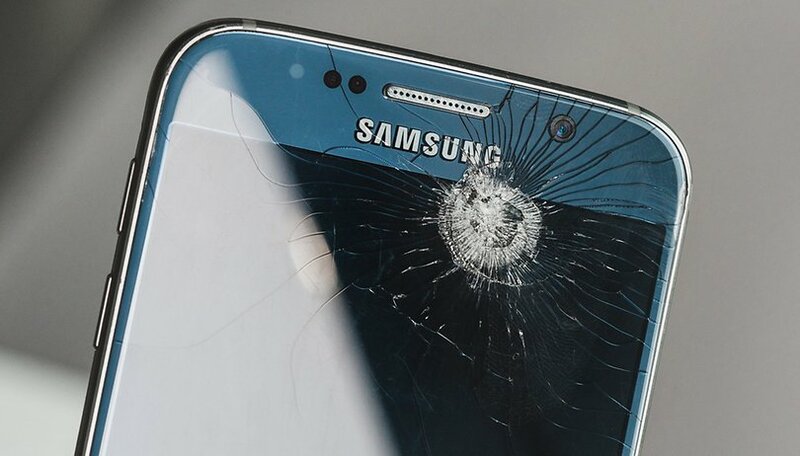 Have you ever broken your smartphone and despaired at the notorious spiderweb on a smashed, unresponsive touchscreen? You don’t have to say goodbye to your device just yet. Here are our tips to salvage what's left of your smartphone. Our smartphones contain a lot of highly sensitive data that is always wise to secure. This is easiest before something bad happens to the phone, trust us. There are several ways to do this: hide the files you want to protect, block applications to restrict access, use guest mode, back up in the cloud, or put passwords on applications. The best way to secure all the data contained in our smartphone is to back it up. That is to say, save the data in a secure location so that we can recover them even in case of losing the device. There are several backup apps available on Google Play where we can transfer data and back it up on our computer. In a few steps, we can keep our data safe. Don't have a favorite backup app? Check out our recommendations. To recover data from your damaged smartphone you can count on the help of your computer. Before starting, we must activate USB debugging in the configuration of the Android device, to ensure that the smartphone will be recognized by the PC. Recovery of images and music is quite simple. Simply connect your smartphone to your PC, activate Debug from the settings menu and use the mouse to access the different folders saved on your device. By accessing the WhatsApp folder, for example, you can hand over all images received in chat. However, it may happen that although your PC has recognized your smartphone, you are unable to view the files saved on it. Don't worry though because, as always, on Android there is a solution to everything. So you have a poorly functioning or out of use display, USB mode not active, or a computer that doesn't recognize your smartphone. These are all the most common problems you may face when your mobile phone is broken and you need to retrieve your data. For those of you who have a Samsung device in your hands, remember that on the official website of the South Korean brand you can find a section called Find My mobile which not only useful for when you lose your smartphone, but also for unlocking your device with the function Unlock my screen. By accessing this function, the PC will recognize your device and you can then use the well-known Kies program to transfer your data. If you have a device from another brand or this solution does not work, you can enter Recovery mode and use Fastboot (which does not need USB Debugging enabled). You'll then have to start a Custom Recovery with Fastboot and use shell commands to extract files. This isn't exactly a simple solution, and needs some familiarity with working with Android, but it will allow you to solve the problems encountered and proceed with the recovery of your data from your broken smartphone. If you've broken your touchscreen but the display is still working (you can see it), you can fix this by using a USB OTG (On The Go) and a mouse connected to your device. A USB OTG connects mobile devices to other devices. Basically, your Android device has a mini-USB port and you need to connect this to a mouse that has a USB port. The USB OTG links these two together. Once you have connected the mouse, you can unlock your device regardless of whether you have a pattern, PIN or password. We recommend using passwords anyways because they are highly secure. Now that your phone is unlocked, you can connect it to your computer and either transfer the data you need to your microSD memory or connect it directly to your PC and transfer the files there. Luckily, there are a few options available when you find yourself in this position. That said, it's important to note that these are temporary measures; to ensure that you can continue to use your device you will ultimately need to repair the screen. The simplest method is to use your PC. Go to the "Android Device Manager" website and sign in with your Google account. If you have GPS enabled on your device, it can be detected by the web tool. In most cases, your smartphone is already registered, but you can always pair your phone with your Google account if you haven't already done so. Click on "Lock" and select "Unlock". Even with a broken display, you'll be able to access your device. Once you connect your smartphone to the PC you'll be able to transfer and back up the data on your smartphone. You should always back up your data when you damage your smartphone. If you can't see your screen, you might need to get a VNC program. There are plenty of these on the market but make sure you pick one that's safe and free. These programs move your Android interface to your PC so you can control it from there. In order to use these programs, you'll need to download the program to your PC but also on your Android device. This is another case of prevention, as you'll struggle to install it on your Android if the screen is already dead. There are some paid programs out there too but they usually include more features than pure VNC functionality. So if you're looking for a more extensive tool, you can grab one of these instead. AirDroid is software that connects your smartphone to your computer. You can use it from a web interface or through an application on your computer. You just have to install it on your PC and on your Android device. Through your account, you should be able to connect to both devices. On your smartphone, you will see several icons that give you access to features such as file transfer or app uninstalling. You can take a look at the different options but the one we're looking for is the Backup. Make sure you use the same login details and go to your phone and press the save button. You can also go through the application: click the name of your device in the left menu and click the Backup menu within the three tabs at the top. Your data will then be saved onto the computer. Plus: AirDroid also allows you to see your notifications on the computer. Vysor also allows you to use your Android phone from a desktop computer. It works through an extension for Chrome, which has a clear advantage: you can use Vysor on Windows, Mac and Linux. A simple USB cable connects the phone and desktop. You can use Vysor's basic functions with the free version. With it you can, for example, connect the devices to take screenshots from Android. With the paid version, screen quality is better, full-screen display is available and data transfer can be performed by dragging and dropping all without a cable connection. Application setup is simple. We found it to be occasionally slow and, as mentioned above, the image quality is not optimal in the free version. AirDroid is probably the best way to use your smartphone from your PC because it offers more than Vysor. Perhaps TeamViewer also deserves a place in this list but unfortunately, it does not work with many Android devices. Another solution for getting your data off your phone is to take it to a shop that can fix it. Yes, this option costs money but you'll not only have your data but also have a fixed phone. Make sure you ask around for a reputable repair shop. Once the phone has been repaired, they can easily steal your data. If you go to one of the big dealers, you'll probably pay more but you're also less likely to get ripped off. Have you recovered data from a broken smartphone? Let us know how in the comments. how does using fingerprint means you are out the luck? the screen is broken not the fingerprint sensor. So how do I install a program on my phone when the screen does not work? It's better to backup the whole files of your device. If your screen broken accidently,you can use MobiKin Broken Android Data Recovery software to help you. My screen wasn't working and I didn't have USB debugging turned on, I thought it was hopeless but I kept trying and slowly made progress to the point that now I can view and use my phone easily on my pc and control it with the mouse. If you can manage to unlock your phone, plug it in to your pc via usb, you can then take screenshots as you go and view them via the file browser on your pc to help you navigate and access the settings to turn on screen mirror which uses wifi to display the phone screen on a smart tv. You can now unplug the phone from the usb. If you have one I found it helpful to use a stylus with the pointer shown to make it easier to select things and navigate, but if you dont have a stylus just try to press on the right spot on the phone screen as you see it on the tv. Navigate to the developer options and turn on USB debugging, start vysor and reconnect your phone to the usb, once detected select "always accept usb debbugging for this pc" on the phone, and then click "view" on vysor to remotely control the phone with the pc's mouse easily and backup all your data. Thanks you guys. My Xperia tablet had a broken screen, so I plugged in a mouse in the OTG cable plugged to the tablet and voila, I managed to restore my tablet to factory settings before I have it repaired. God bless. Though its a rewritten article on AndroidPit from 2 years ago, I think its one of the better articles I have read here. Thanks, this post was awesome!! OMG you save me! GOD BLESS YOU!!!!!!!!!!!!!!!!!!!!!!!!!!!!!!!!!!!!!!!! Thanks for those sage words of wisdom there @Greg ... Really helpful. Really, really constructive ... Jagoff. Can't believe you just couldn't contain yourself from posting essentially a "I told you so" to a bunch of strangers consulting this article because they have a real reason - the frustrations in troubleshooting a malfunctioning (or broken) device and the worry that critical data may be sealed inside their new $1000 coaster. There are 1000 different causes for touchscreen issues, Greg. A case only protects you from 1 GREG - "oops I dropped my phone" - that leaves 999 paths to touchscreen issues unprotected by a phone case. YEAH GREG, I HAD A #%$@ CASE FOR MY PHONE. Sorry - usually don't let the buffoons bait me. @Nicholas, thanks for the informative post - a couple of methods here I hadn't considered. May end up being a huge help. Got my iphone fixed by ScreenFixed they even offer me a home service. Your post is very insightful. If you can guess the unlock steps, then conceivably, you can extend that approach to "guessing" the taps to open settings, navigate to 'Developer Options', click the 'build no' 7 times, confirmation dialog, etc to enable Debugging over USB. I don't think I could do it - but @Criss (who apparently has way more patience than I) describes how she did it in a comment below. "Micro USB to HDMI TV Out HDTV MHL Adapter Cable"
Can't post a URL- google for the above. Device support for MHL seems a little hit or miss based on the manufacturer. How to install a program on phone ?, When the screen does not work? I am wondering the same damn thing!! The main reason why you want to do this is because YOUR PHONE IS BROKEN AND CANT BE ACCESS!!! Edit by Admin: insult removed. And you should probably not be commenting if u didn't know that even if u install an app from your google account, you still need to run it from your smartphone, impossible if it's screen is broken. Here's what worked for me --my screen broke and wouldn't display anything HOWEVER the touch still worked. - Using memory of the key placement, I entered my pin to unlock the phone. - Next, using my husband's phone as a guide (because it runs on the identical os), I navigated to the 'Accessibility' feature in settings, and switched on 'Talk Back'. Doing this took a lot of the guess work out of navigating with a blank screen. - Next, I turned on 'USB debugging,' also found in settings. - From there, if your situation is similar, you should be able to install Vysor on Google Chrome on your PC, install the ADB drivers (upon opening Vysor in Chrome using the provided link) and then connect your phone via USB cable for the screen to be mirrored on your PC. - Because my phone is pretty crappy, when I connected it to the PC at this point, I got an error message saying that the Vysor APK file could not be installed on the phone. To get around that I found the Vysor installer file for android on apkmirror.com, downloaded it and copied it to my phone. Then, I located it on my phone via the file manager and installed it. From there I was able to connect via USB cable and mirror my phone's display to my PC. Thank Heavens!! I quite like Vysor. On my new phone I'm gonna keep it installed and USB debugging activated as a sort of fail-safe should I lose use of my screen in the future. Hope this was able to help you. CHEESE N RICE GREG. JUST WALK AWAY. SERIOUSLY. Sorry ... just really hate Greg right now. You can also use an MHL adapter on a Samsung phone to get HDMI out to a TV to show your screen and give permissions for the VNC program. You can download the trial version of the software and check if your device is in the supported device list. Hi Cory - related to the question asked below: how can I install something on my Android device (Motorola Droid Maxx) if the screen is totally dead and black? The phone is on, but I can see nothing. I'd like to be able to retrieve my Contacts from this device, but 1) I don't have debugged USB, and 2) are there VNCs that don't have to be loaded onto the phone? Hard lesson learned about backing up (and about not trusting Verizon's backup programs). So, I need to wipe my phone (Nexus6, easier said than done, read on) - the screen stopped working visually and touch is impossible at this point. I got another Nexus 6 and signed in, recovered everything and, I am good to go there. I signed into the Manage Devices page, and there are several Nexus 6's in there - the one I want to wipe which was "added" 2 years ago is not responding to the request to Ring, so I assume it wont wipe the device, either. Also, I don't want to make the mistake of it wiping the Nexus6 I actually want to keep using. Thanks! The USB-OTG is saving my data (at least what what not backed up yet)! I agree the most important thing to do is to BACKUP your data, use at least 2 different types of storage media - USB stick/SD/SSD/hard drive/cloud storage /CD-DVD. Using a VNC if your screen is faulty sounds like a good idea... But the fact that you have to have the program installed on your phone before the screen becomes faulty means it's not a viable option for like 99% of users who have broken screens. Yes some people may install such apps and services in the unlikely event that the screen breaks. Is this the only way to access your device in this situation? But you can backup your data before itself right it will more safe and less time consuming. Good catch Faizan, it's been corrected now.